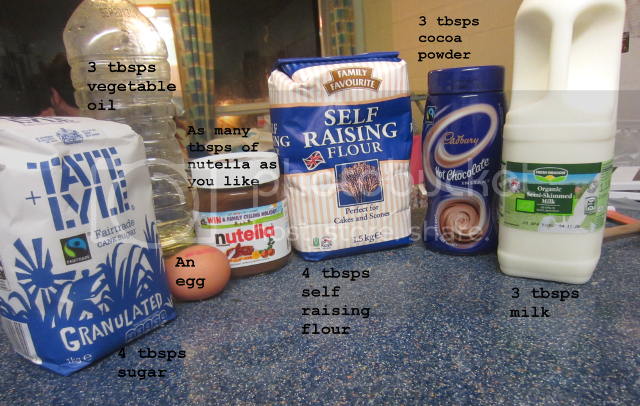 Just to clarify I found this recipe HERE, I didn't invent it myself! 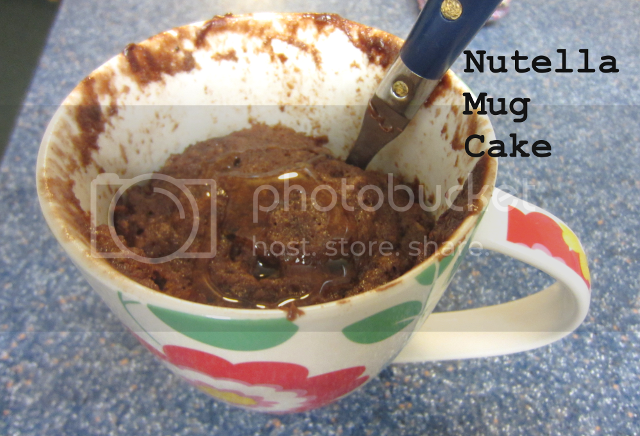 I found the recipe online the other day, and as a student cooking in a mug is a godsend. No pans to wash up, no having to wait for the oven to heat up, just shove it in the microwave for a little bit. Student/laziness heaven. 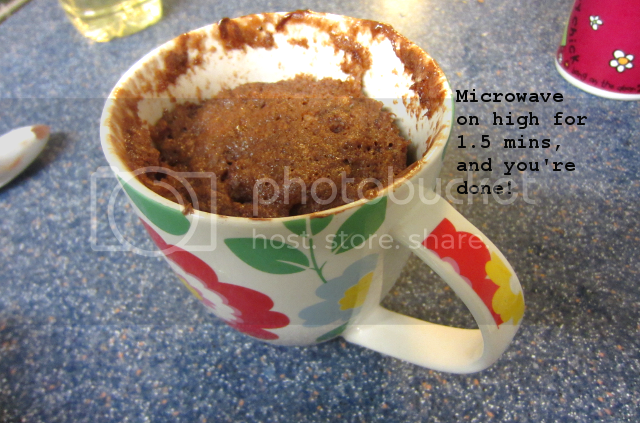 I was a bit disappointed because mine did rise nicely but as soon as I opened the microwave door it sunk - probably due to using crappy Lidl self-raising flour, and also instant hot chocolate powder instead of cocoa powder. Still it was nice to have pudding for a change which I never eat at uni (too much effort to make), I added honey and it was delish. 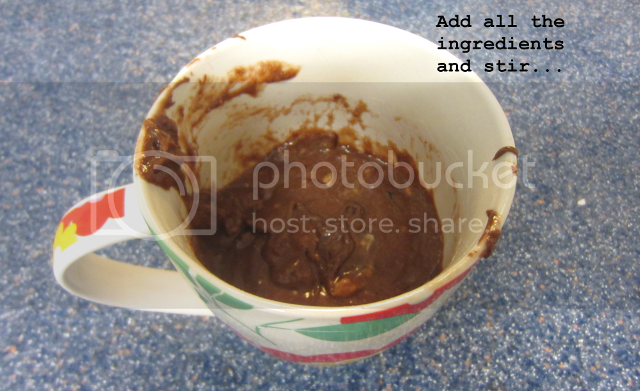 The fact this is so easy to make is such a bonus! Yum, yum and yum! Damn you weight watchers, I so want to try this.